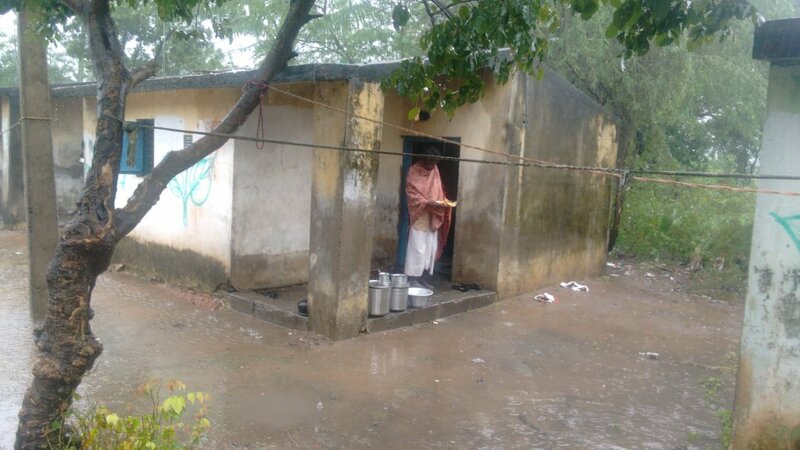 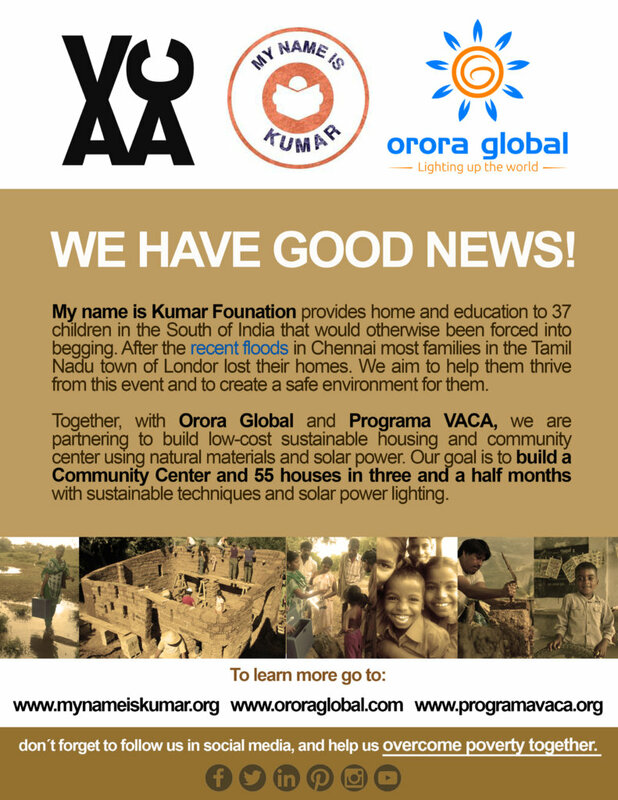 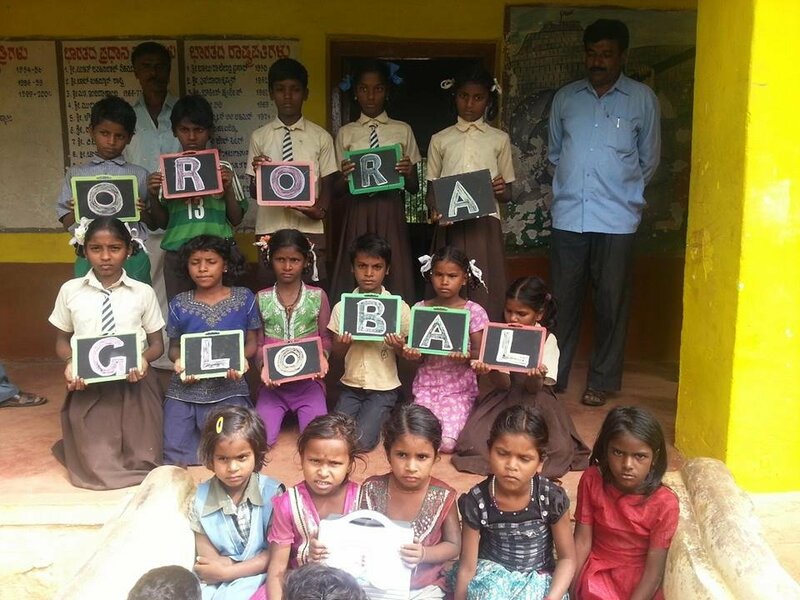 My Name is Kumar provides home and education to 37 children in the South of India that would otherwise been forced into begging, together with Orora Global and Programa VACA we are partnering to build low-cost sustainable housing and community center using natural materials and solar power. 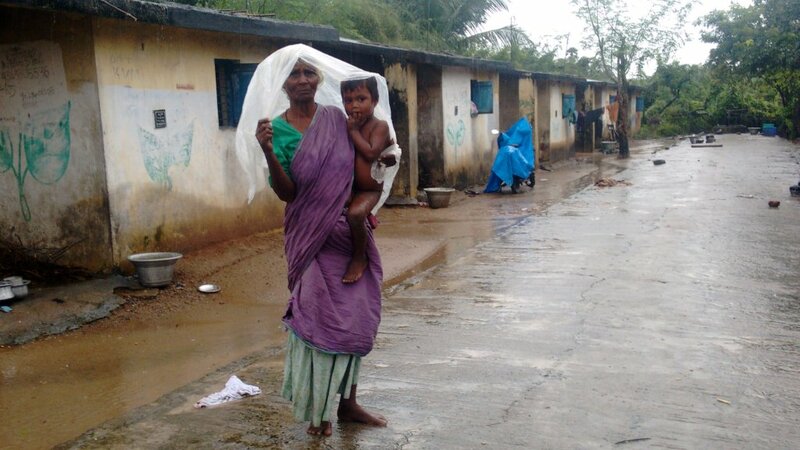 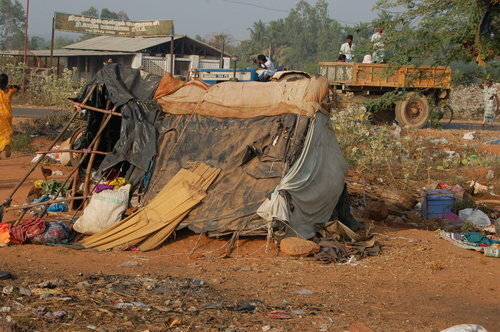 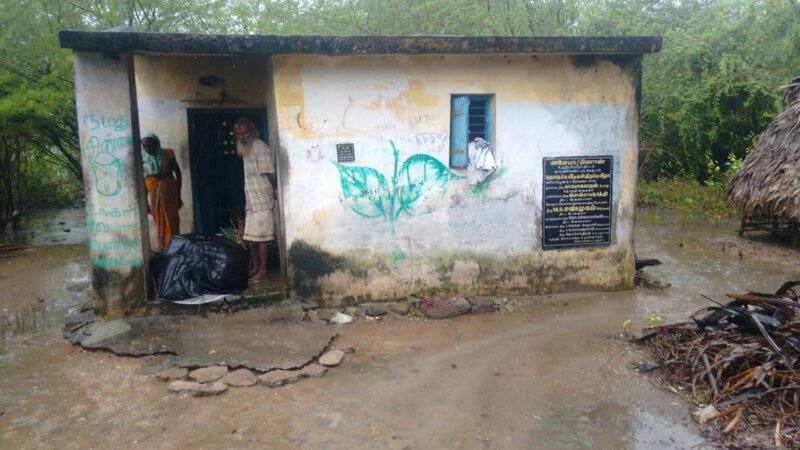 After the recent floods in Tamil Nadu, we have a one dream - to create a safe environment for families and help the London community thrive after the recent floods in Tamil Nadu during which most families lost their homes. 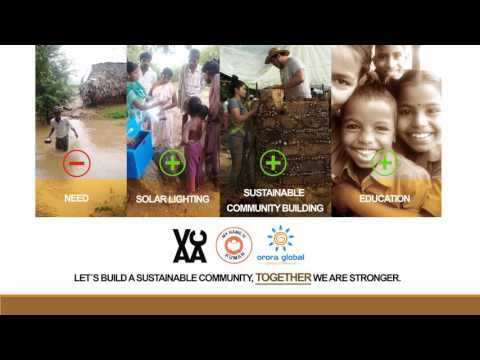 We hope to build a Community Center and 55 houses in three and a half months with sustainable techniques and solar power lighting for these families. 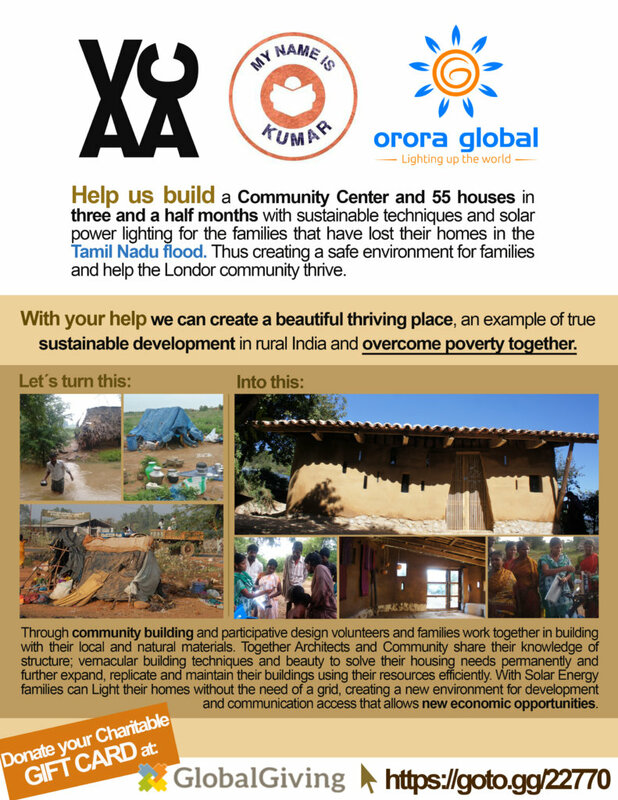 Through community building and participatory design volunteers and families work in building with local and natural materials. 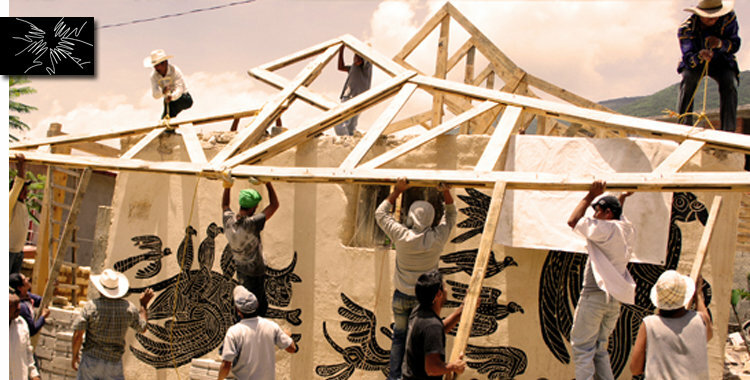 Together, Architects and Community share their knowledge of structure; building techniques and beauty to solve their housing needs permanently and further expand, replicate and maintain their buildings with efficiency. 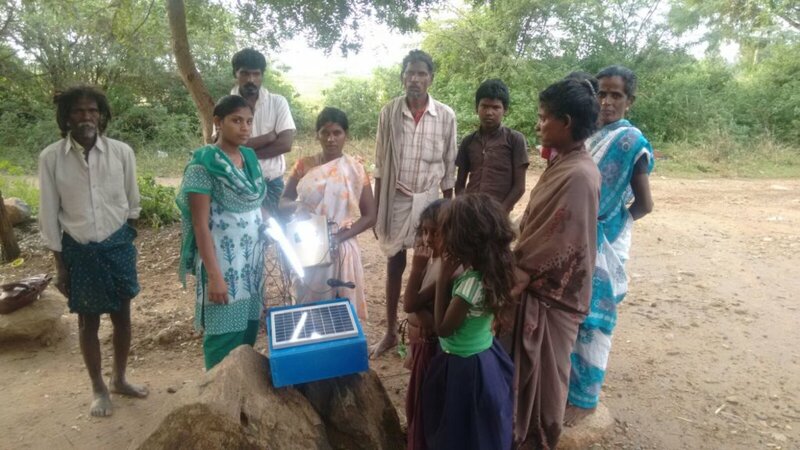 With Solar Energy families can Light their homes without the need of a grid, creating a new environment, this access allows new economic opportunities. 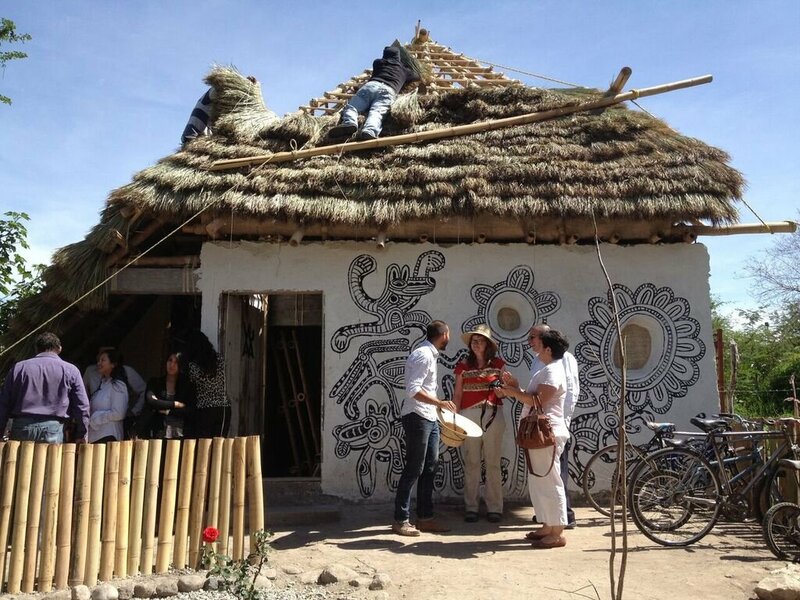 Families can use natural resources to build sustainable, comfortable, beautiful and durable spaces. 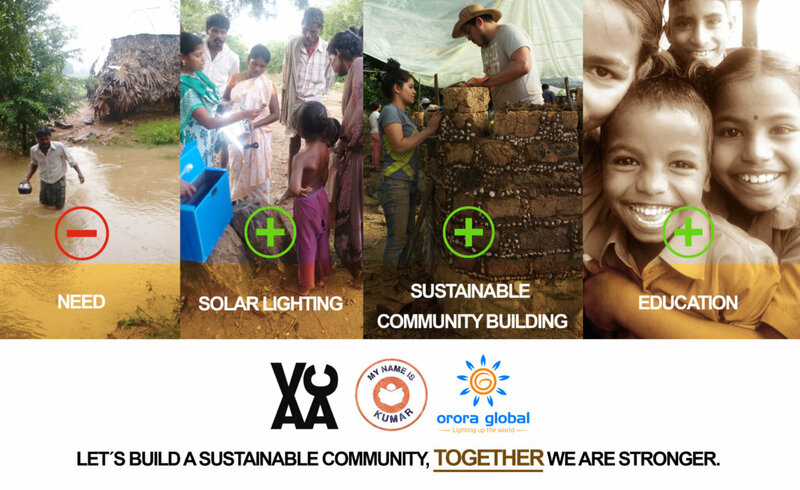 All of houses are powered using low-cost, solar solutions (Orora Home S-System) which will provide bright LED lighting and cell-phone charging. 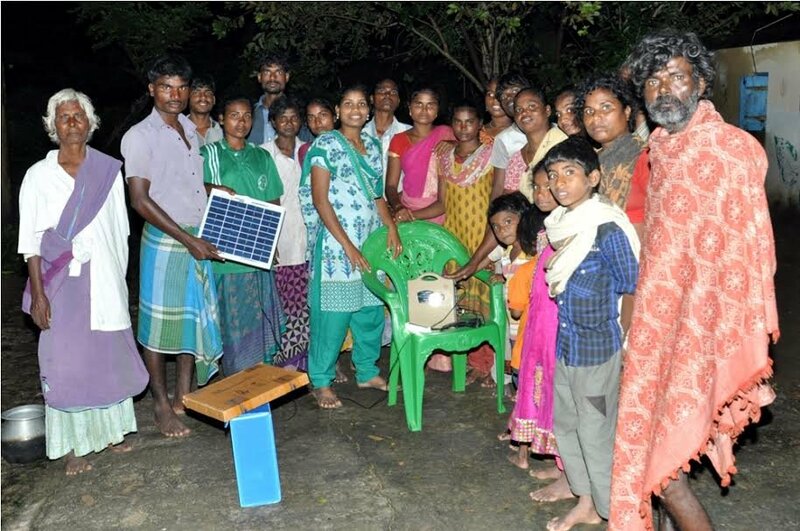 The communities can learn the skill of building homes and selling solar products which they can provide means for economic livelihood in their local communities, making our model an example of true sustainable development in rural India.